Interesting article sent by Elena Tiis as trade for the Noise & Capitalism book. Elena Tiis. Urban Studies MSc. Universiteit van Amsterdam. ‘Parapapapapapapa/ Paparapapapapapa/ paraapapapapapa kla que bum/ parapapapapa’; the catchy, rhythmic refrain of ‘Rap das Armas’ (Rap of Weapons) song mimics the discharge of an automatic gun. The lyrics’ allusion to the everyday violence in the favelas (shantytowns/informal settlements) of Rio has given it the status of ‘proibidão’, or prohibited music, due to its alleged condoning of violence (see Yúdice). The debate whether this song condones violence or not (I believe it does not) is eclipsed by the more pertinent question of how and why it is possible for such a song to be written, performed and danced to at parties. The process by which drug violence and gun crime are prevalent enough phenomena to be sung about in the ‘public domain’ is an interesting and complex one. Arguably, music is primarily a bodily relation. It is not merely the lyrics (if applicable) or the identity of the singer that is attractive in any given song but the things that the beat does to the human body which is a type of seduction. Hence, studying the dynamics and spatial politics of funk music in the favelas of Rio requires thinking in terms of bodies – to examine music as something which is predominately corporal and linked to bodily identity. This essay is only preliminary, little more than a few notes on the subject, and just a very small examination of the complex circumstances that intersect illegalities, criminalities as well as pleasures in the favelas. My aim is only to sketch an approach as concerns the expression of the everyday concerns of favela dwellers through music as well as acknowledge musical expressions as an important field of research. Brazilian funk is often clearly marked a ‘lower’ status music, cheaply produced and enjoyed by predominately people from poorer, ‘blacker’ neighbourhoods (Caldeira 2000: 297; Yúdice 1994: 204). Funkeiros, or the people who enjoy this type of music, have been maligned in the popular press, especially during the early 90s (see Yúdice). My specifically body-relational reading will take on board the insights of Susan McClary who notes how the policing of music actually involves a polemic against the body which, in the case of favela funk, means that questions of racial identity in specifically Brazilian context come into play. 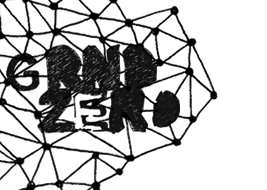 Julien Besse member of GRRRNDZERO platform (concert management, magazine, blog..) has translated by his own iniciative some excerpts of text that conformed Noise & Capitalism book to french. It’s a great job that we really appreciate and of course, gratefully thank. Below, you can find his translations. L’essai Noise & Capitalism, publié par un collectif de musicien-ne-s issu-e-s des musiques expérimentales, improvisées ou bâtardement rassemblées sous le terme générique de “noise”, est un pavé de 200 pages traîtant du potentiel de subversion & d’émancipation de ces musiques dans le contexte néo-libéral actuel, contexte qui se nourrit de plus en plus de l’art, de la créativité individuelle et des contre-cultures pour donner un nouveau visage au capitalisme. La lecture de Noise & Capitalism peut être laborieuse, étant donné qu’il n’ a été publié qu’ en anglais et que le ton y est globalement académique, voici donc quelques passages traduits.